There's one thing I may love more than perfume, and that's limited addition perfumes that are only available for a limited amount of time and ERMAHGERD what if they sell out and I never get to buy one and they are really good and my life would be RUINED FOREVER?! Ahem, so obviously I have a slight problem when new fragrances are released for a short window of time. Some people like to collect and dress up as troll dolls. You don't know my life. However, you do know when and where you can pick up the six limited addition fragrances for Lush, mostly because I'm about to tell you. 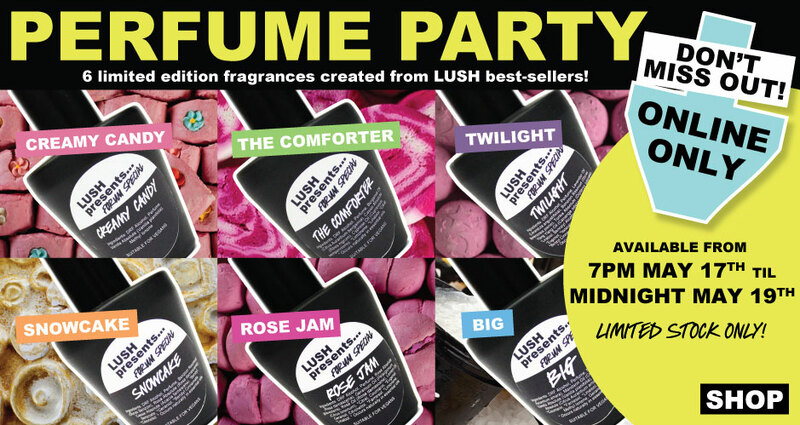 After polling their forums, Lush has created these six perfumes from their most popular scented products and they will be available exclusively at lush.com.au from 7pm, May 17th, until midnight, May 19th. Creamy Candy - fairy floss without the tooth ache. The Comforter - juicy blackcurrant. Twilight - a creamy, milky lavender, with notes of malted tonka bean. Snowcake - snuggly almond marzipan. Rose Jam - a sweet, fresh rose. Big - beachy neroli and orange blossom. Interested? Pop into a Lush store in the next few days to sniff the sister product for an idea of the notes, as the actual fragrances won't be available to sample. 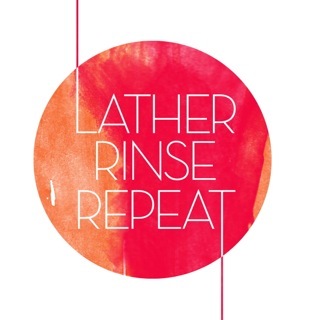 Some are repeats from previous years and from Lush international, if you were hoping to restock a favourite. Did you get a chance to try their Gorilla Perfumes? The one called The Voice of Reason is incredible. It contains tonka bean, like Twilight. I just wanna know - wtf IS a tonka bean? Whatever it is, it makes my nose happy. Some, on a other hand, get it really substantially. Oh I love tonka bean, it's so almondy without turning into marzipan. I'm passing on Twilight - I just cannot with lavender notes - they turn sour and musty on my skin.